Hi James – An excellent post! The idea of a monolithic Judaism or early Messianic community has no basis in the writings of the era, so it’s time we jettison the idea. Perhaps one reason we like to think of the early Messianic faith (or at least the Jewish branch of it) as uniform is because it’s comfortable to think of a primal uniformity to which we can return. IWe’re less comfortable dealing with the ambiguity of diverse practices. Thanks for the complement, Carl. Much appreciated. I have to admit I used to be one of those people who felt comfortable with the idea that there was a “pure” Christianity or Messianic faith that once existed and that we should shoot for in the future. However, I think the idea that there was always diversity in practice (and probably always will be) offers us more “permission” to be different and divergent without being labeled “wrong” in some manner. This is particularly relevant to the relationship and differences between believing Jews and Gentiles. Still hard to understand how it’s possible to take a groundbreaking ruling from Jews that Gentiles do not (and according to Paul, *should not*) convert to Judaism, and twist it to mean that Jews should not be Jewish anymore, or at least obey their specific calling as given by God Himself, if one is to believe the Bible is His Word, which evangelicals do. Paul’s instructions for Gentiles and Jews to “stay” as they were “when called” directly opposes this view, as does his argument that forcing “uniformity” (Gentiles must “become Jews” to be acceptable to God) misses the point that God is not ONLY the God of Jews, but of Gentiles too. Christianity’s demand for uniformity in the reverse, (all Jews must become Gentiles to be acceptable to God) wipes that argument out, and makes literally no sense at all. If this were true, we’d have heard it from the horses mouth, so to speak, yet we do not. The only place I’ve found this view is via Jew-hating/strongly-disliking Church Fathers and carried on by Christianity. I agree that it doesn’t seem incredibly apparent to me from scripture that the Jewish believers just blithely gave up on a Torah lifestyle and moved on. We do see in Acts 21 forward how Paul was accused of teaching against Torah to Jewish audiences, but he always denied the charges during multiple court proceedings. Paul isn’t one to lie to get out of trouble, so I don’t doubt that he was truthful when he said he was innocent of the charges brought against him. While it’s true you’ve cited Hurtado in other posts, this is the first time I’ve noted that he expresses the misconception that “Hebrews” didn’t speak Hebrew, but rather Aramaic. I’ve responded on this point before to note that the DSS contain validation of the common use of Hebrew as the primary language in Israel, though Judeo-Greek was common in Hellenistic circles and in general commerce, Aramaic also was in use in certain scholarly circles and some colloquial sayings, and even Latin was used in some cases to deal with Roman authorities. I suggest that Mark Nanos has a much better grasp than Larry Hurtado of the identity and motivations of folks like the “false brethren” of Galatians, who are not necessarily the same folks who were connected with Yakov in Jerusalem, whose presence moved Kefa/Peter to worry about their potential opinion of his interactions with non-Jews in Antioch. You’ve noted before this that Rav Shaul was either a hypocrite in Acts 21, or he really never did teach that Jews should “forsake the customs of Moses”. Certainly he didn’t protest when it was suggested that he sponsor a Temple sacrifice and procedure intended to demonstrate his dedication to Torah as applicable to Jews. However, I wonder what evidence Rabbi Kinbar might cite for diversity among the tens of thousands of Jewish believers in the Jerusalem area who were zealous for Torah — aside perhaps from the Acts 15 dispute about circumcision for non-Jews to be “saved”. Of course, Jews have always argued about how Torah is to be applied (among other things), but that’s not quite a justification to claim communal diversity in doctrine or praxis. Just to be clear, while I’ve suggested that others believe Paul was a hypocrite in performing Temple sacrifices, I don’t believe he was for a split second. It would be interesting to get Nanos and Hurtado in the same room and see how they’d react to each other. I can only hope Rabbi Kinbar will return to address your questions and comments, PL. Good question. As far as I know, there is no direct evidence for diversity, just as there is no direct evidence for uniformity. Acts 21:20-21 tells us that in Jerusalem, the Jews who believed in Yeshua were “all zealous for Torah” – it doesn’t say “diverse” or “uniform” practice. But there is some indirect evidence. Second Temple writings attest to diversity, with some Jews belonging to sects but most not belonging. There is no reason to believe that those who did not belong to a sect were therefore “un-zealous.” The were simply non-sectarian. If all Yeshua believers originally belonged to the same sect, there would have been uniformity. Otherwise, was a diversity of practice among Jewish believers. That is, unless the Jerusalem leadership objected to the common Judaism of their time. If they did object, they may have engaged in the project of bringing about uniformity. Again, there’s no direct evidence one way or the other. However, there’s some indirect support that they did not teach or enforce uniformity — there is no record that they directed Paul (or anyone, for that matter) to teach or enforce uniformity of practice. There is also nothing in the apostolic letters to indicate that the Jerusalem leadership or other apostles mandated uniformity. If they practiced uniformly in Jerusalem, why would they be indifferent to the lack of uniformity elsewhere? The Jewish people (in the Land of Israel in particular – I’m not as familiar with the rest) actually did quite well during the time of common Judaism (from late Second Temple times to at least 400 CE). If you wish, I’ll put one together a list of books on the subject. To avoid misunderstanding, let me put it this way: common Judaism had a core of practices that all communities of any size considered mandatory while also having a diversity of practice in other matters. Diversity does not mean that some Jews ate pork and did not daven. Paul is also opposed to Jews keeping the Law and accuses them of trying to Judaize Gentiles simply for doing so. Paul is the reason for lack of unity — as is the case between Arminians and Calvinists too. What you are saying seems to be a common understanding in a lot of churches, but I’m going to have to disagree with you. In Acts 21, Paul was accused of teaching against the Torah of Moses, against the Temple, and against Jewish customs. These are all charges he denied at the various court hearing he was compelled to testify at. He went to Rome still denying the charges and, as I read Paul, he wasn’t hypocritical or disingenuous. I have weekly conversations with my Pastor and he believes pretty much as you do, so I’m quite familiar with the argument. I can’t say that Paul was the reason for a lack of unity between Jewish and Gentile believers. It seems to have more to do with the struggle for many Jewish communities to be able to accept non-Jewish believers without the requirement that they convert to Judaism. As far as Arminians and Calvinists, that’s an entirely separate topic. Well if you combine Acts and the Epistles you have a mess of contradictions. In fact you have this problem when dealing with more than one epistle. In Galatians Paul clearly condemns all Jews who keep the Law at all. In Romans, maybe not. In Acts, Paul can surprise us with anything. The real problem is that people think they can know what Paul really thought by reading these texts — they can’t. Excuse me, but in Galatians Rav Shaul was addressing non-Jews and not Jews, as he discouraged his adult readers from becoming circumcised (i.e., a code term for what is nowadays called converting to Judaism). However, in Gal.5:3 he notes in passing that all who are circumcised, which includes Jews and proselytes, are obligated to full Torah observance. He certainly never instructed Jews to forsake the Torah-specified “custom of Moses” for Jews to circumcise their sons on the eighth day of life, which means that adult Jews reading those lines already know they are directed to non-Jews. If you see a “mess of contradictions” between Acts and the Epistles, you are obviously trying to read them through a faulty lens, probably due to ignorance of the background and false prior assumptions. Getting a pretty good picture of Rav Shaul, the Pharisee of Pharisees, writing as a rabbi with compassion for G-d-fearing non-Jews pursuing an affiliation with the teachings of Rav Yeshua, is not so terribly difficult for an orthodox modern Jew. Lest there be any confusion, my last remark was a reply addressed to “descriptivegrace”, even though it does not appear so in the sequence. My prior remark was a response to Rabbi Kinbar’s discussion of the range of diversity. Carl said: Diversity does not mean that some Jews ate pork and did not daven. I was thinking more along the lines of how the various streams of modern Judaism differ from one another. Not really. They were committed to basic practices of Torah. The sects each practiced their own version and the majority of the people, not being affiliated with sects, did not practice sectarian halakhah but something less formal are more variable. Perhaps the only totally uniform practices were in the Temple sphere (priestly halakhah). The situation today is very different. There is no “common Judaism” or commitment to Torah that is shared by the streams of Judaism and, especially, by individual Jews. Second Temple Judaism varied from one form of Torah observance to another. Today’s diversity is from ultra-orthodoxy to atheism. Actually, if we limit our scope to those who could be deemed “zealous for Torah”, a suitable modern example of diversity would be the range between modern orthodox (maybe even American Conservadox) and the Neturei Karta. Now, there is certainly a wide range of political views relative to secular government represented within this demographic, but a very solid core of day-by-day practice. Distinctives would include special events in commemoration of the founders of each subgroup, opinions about the timing or inclusion of some piyutim, and minor variations in dress code, but unless one is immersed in the details of rivalries between sects, one would be hard-pressed to note the differences. If any one of them were short a tenth man for a minyan, they would be able to draw in any Jew who happened along, whether the nusach was sepharad or ashkenaz (I know; I’ve done it [:)]). The differences are largely matters of style rather than substance. That doesn’t mean I can’t try. Thanks. This reminds me of another moment of clarity in my life. I was meeting regularly with a committee of great folks on the planning of a full-day Holocaust seminar for diocesan Catholic school teachers one day. Two Holocaust survivors, the director of the local Holocaust organization, and an African-American Roman Catholic priest were involved. The African-American priest, Fr. 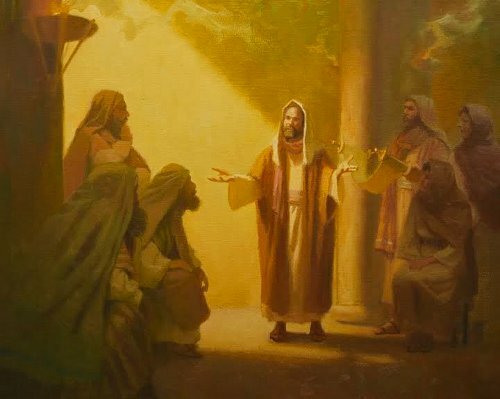 Mike, told a story of racist treatment on-line at the seminary he’d attended, where the abbot asked him why he’d passed up the watermelon offered on the cafeteria line. Imagine. Father Mike looked right at me and said, you know, it’s up to non-Jews to keep the memory and the lessons of the Holocaust alive because antisemitism is for Jews as racism is for me, being black: when I raise issues of racism, it’s “sour grapes;” when you raise issues of racism, it’s a justice issue. That statement struck me hard and as often being true. 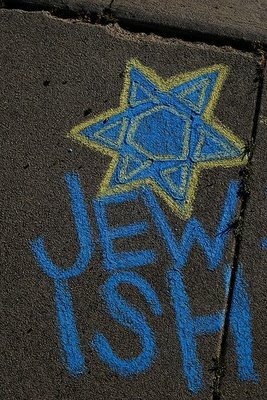 Which is yet another good reason to combat the lethal disease of antisemitism via educational awareness of the Holocaust, as it speaks, if indirectly, to the issue of racism almost simultaneously. Rabbi Kinbar said: The situation today is very different. There is no “common Judaism” or commitment to Torah that is shared by the streams of Judaism and, especially, by individual Jews. Second Temple Judaism varied from one form of Torah observance to another. Today’s diversity is from ultra-orthodoxy to atheism. More’s the pity. I can only believe that when Messiah returns, he will united his people, the Jewish nation together. Thanks for your comment, Dan. Yes, there’s a lot that goes on when a Gentile believer consents to truly meeting the Jewish Messiah on his own terms, rather than ours. It’s a continual struggle, especially when attending a church, to maintain the balance between the community of Gentiles and the lived reality of Moshiach, but it is a joyous one. Later today (Friday), I’m posting an “extra meditation” relating my comments on the introduction of the FFOZ/Vine of David book: The Everlasting Jew: Selected Writings of Rabbi Isaac Lichtenstein. I’m following that up with another commentary early next week, addressing Daniel Lancaster’s brief biography of the esteemed Rabbi. I believe that both Jewish and Christian readers can learn a great deal by following the journey of this 19th century Hungarian Rabbi as he discovers and then pursues the Moshiach. I look forward to it… I’ve been incredibly blessed by the publication of Paul Phillip Levertoff’s work, “Love and the Messianic Age,” through FFOZ’s Messianic Luminaries Series… and especially the Study Guide and Commentary that goes with it, which I cannot recommend highly enough! Wait no longer, Dan: The Talmudic Messianic Jew. Ha! Navigating the cyber-tesseract with a click of the button as we speak! PL, I appreciate that you pointed out there are divergent political views as to secular governance among Jews within the range of Orthodox praxis. And I am glad I have now read through the comments section for this thread that I didn’t read the full comments section for previously. Thank you, Carl and PL. I don’t think anyone mentioned this, and it’s “par for the course” that Christians do it, but Hurtado used of the designation “Palestine” for the time period in which Paul wrote. That doesn’t really fit the time; it does show he is ensconced in Churchianity. On the other hand, Israel wasn’t a freely-running Israel. True, Marleen, Hurtado’s use of “Palestine” in place of “Israel” was anachronistic, because the Romans would not initiate that practice until later, even though they were already occupying Israel as a vassal state.